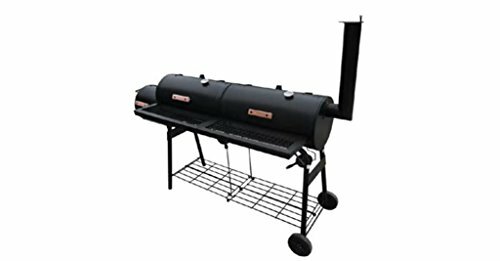 SMOKER – This smoker barbecue is a combination of a traditional barbecue and a smoker barbecue. 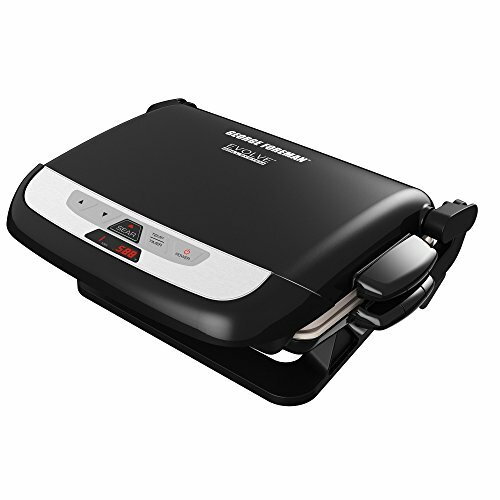 It allows you to grill, smoke, roast and keep your ready food hot. 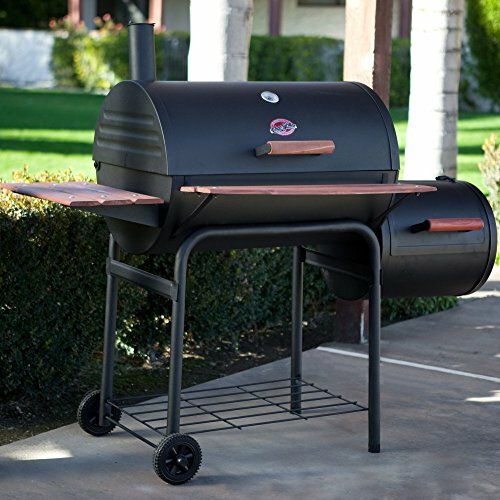 Within the fire compartment, smoldering wood produces heat and smoke that is evenly spread within the smoker. 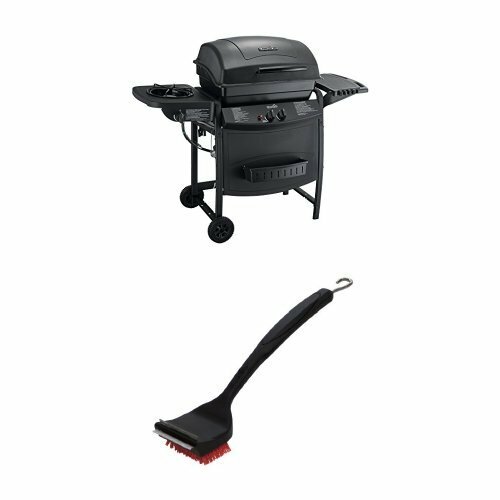 If you are sticking with one way of cooking, the separate fire box can be used to maintain the heat of your already barbecued food. CHAMBERS – The Nevada has one fire compartment and two smoking chambers. Meat, fish, vegetables, pizza and even bread can be prepared deliciously within the smoker. The taste of your food can be influenced by your choice of wood. Dishes are able to be cooked at low temperatures, which ensures that your fish and meat remain juicy and delicious. 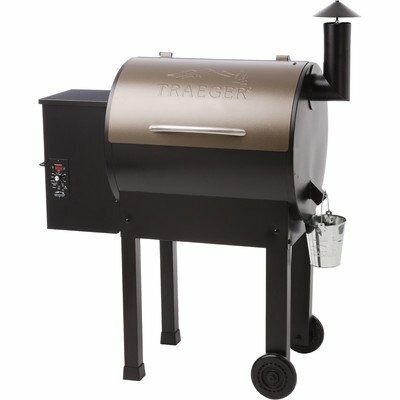 SPACIOUS – This smoker has two very spacious grill compartments. 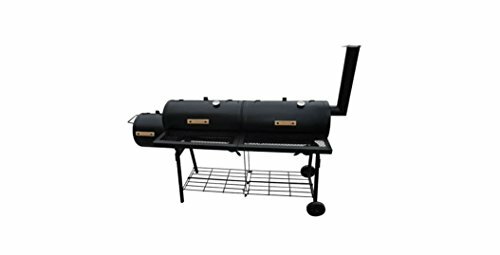 A temperature gauge allows you to monitor the temperature within the smoker. An additional rack shelf to store some extra wood can be found at the bottom. 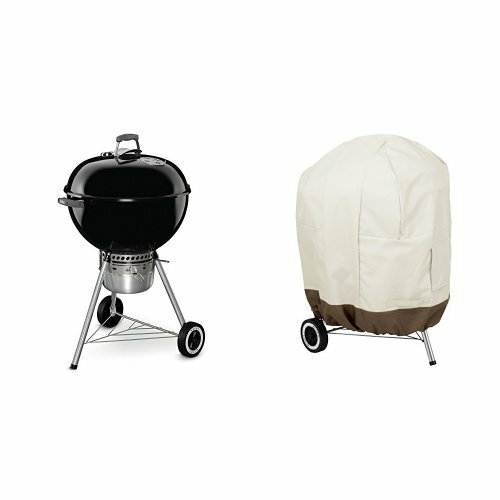 Note: We recommend using a BBQ cover (not included) to protect the item from adverse weather conditions.